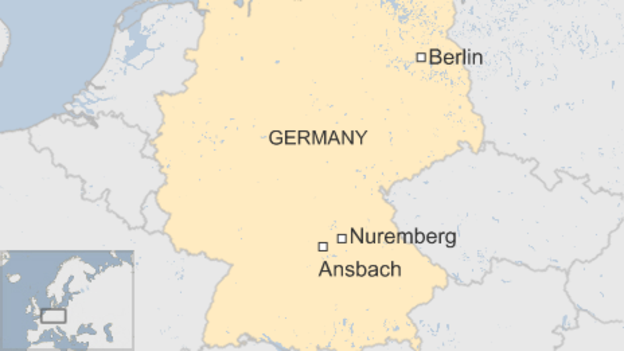 An explosion at a bar in the southern German city of Ansbach, near Nuremberg, has killed one person and injured at least 11 others, BBC reports. Police have sealed off the area around Eugene’s Wine Bar, the Nordbayern.de news website reported. The incident comes amid tension following other bloody events in the German state of Bavaria over the past week. A shooting rampage in Munich on Friday left nine dead while an ax attack on a train a week ago in Wuerzburg injured several people.